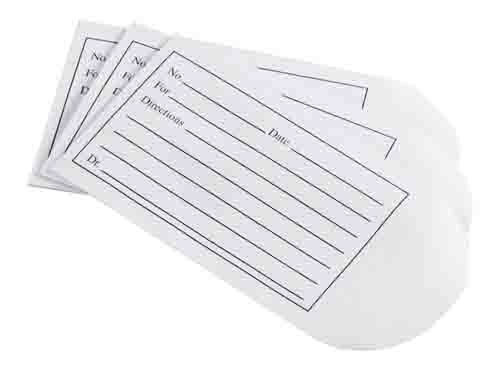 Medication Envelopes by MedLine NON2300 are 3-1/2 inch x 2-1/4 inch in diameter. Each envelop is designed to make medication and distribution simple and accurate, similar to the Pill Envelope by Medi-Pak. There are individual lines on each one to indicate name, date, room, directions, and the name of the physician distributing the medication. They are lightweight, white, and available for purchase in boxes of 500.